Unassisted Childbirth- Can It Be Really Safe? Birth is about PARENTS….mothers and fathers and babies. Not doctors or midwives. For some reason, we’ve got it all backwards. We think that without doctors and midwives that birth can’t or won’t or shouldn’t happen the way it’s supposed to. Yeah, that’s totally wrong. I could go down the list of births which I have attended where I did almost NOTHING but help Mom and Dad catch their baby. Now, I’m not an idiot either. I know complications in birth can and do happen. 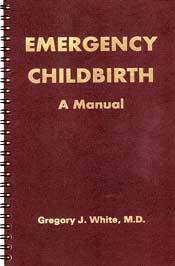 But….just like Gregory J. Whits states in his book “Emergency Childbirth” any 8 year old child can deliver a baby. I actually believe what he says. We have put SO MUCH FEAR into childbirth that we’ve convinced women their bodies and their babies are ill equipped to know how to deliver a child. This could be FARTHER from the truth. I’m not saying either that pregnancy and childbirth doesn’t have it’s potential complications and problems. But, I believe when a women is taking FULL RESPONSIBILITY for herself, her conception, her pregnancy and her birth, complications are much less likely. Why do I say that, you ask? Because when a women feels that what happens in her pregnancy and birth is completely up to her, her perspectives of the experience and how to care for it completely change. Laura Shanley discusses her experiences and the experiences of other women in her book…..UNASSISTED CHILDBIRTH…..and how preparation and education can create a wonderful and safe birth environment and experience. Below is a video with her explaining WHY unassisted childbirth can be safe and right for certain mothers and families. As Laura states above, FEAR is the prime issue when it comes to having the birth experience you hope for. Fear stymies all the bodies processes from functioning appropriately and as they should. 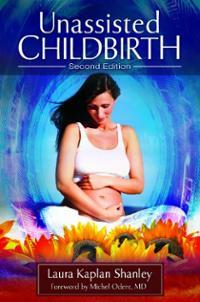 Removing the old beliefs and thought patterns of fear can truly create a pain free and blissful birth experience. Below is an article which discusses unassisted childbirth and the perspective of doctors on the subject…..which, of course, are negative. But how women ar still choosing to listen to their intuition, their bodies and their babies. Ugh…word to the wise – don’t read the comments in the linked article. There’s not enough time in the day to respond to all of the ignorant things being said there. I agree. You address your fears and you address 99% of the potential problems of birth. Women need to give themselves the opportunity to really get to know themselves. UC is a perfect vehicle for that! My UC was a wonderful, easy experience. I even bled for less time post-birth. And, the next baby I had was born in a hospital because I knew something was wrong with her. None of the ultrasounds showed a problem and the hospital staff didn’t catch it after she was born, although there were signs all over the place and I kept telling them something was wrong. At 2 months, she was diagnosed with a blocked small intestine. She could have died in that time, but I stayed vigilant, taking her to the ER several times and being turned away. My UC helped me learn to listen to my inner voice better, to trust myself more, and to never let anyone outside of me choose the direction of my life. This saved my non-UC baby’s life. We must move beyond our fears and embrace our true selves.